Crown moldings are a beautiful architectural element for your home and when professionally installed will add beauty and value to any room. 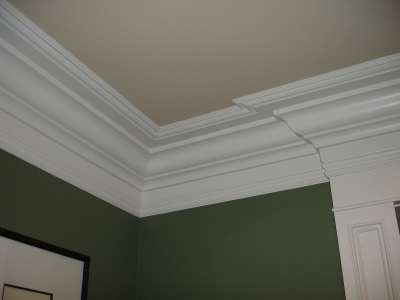 James Anderson is a master craftsman & woodworking specialist with miles of seamless crown molding installation experience. 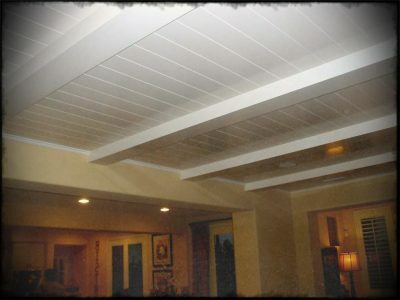 We are experienced with crown moldings, tray ceilings, coffered ceilings, box beams, and ceiling art formations. 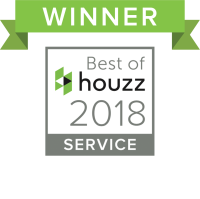 If quality will matter in your crown molding installation you can count on us for the best possible results! 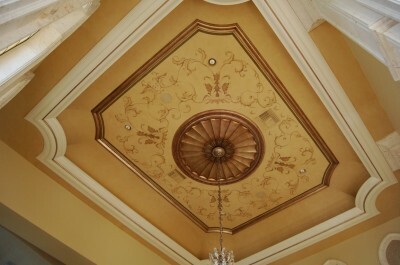 Our crown moldings are fastened, glued and installed properly to last a lifetime. Nail holes are filled with putty and sanded smooth. Runs over 16 feet will have a seam that is glued and sewn together with a 23 gauge wire gun to become invisable. Everything is caulked to the ceiling and walls. We prime and paint with a high quality oil base finish. 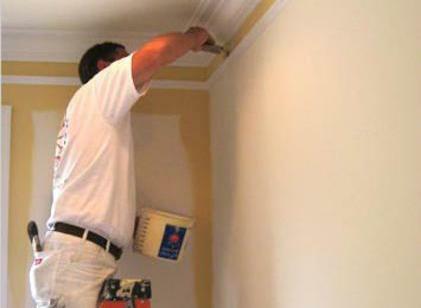 As we know, curtains or furniture cannot hide a lousy crown molding installation. Good or bad, it's there for everyone to see. 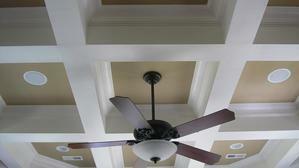 If you prefer a professional finished crown molding installation in the Sarasota area, call us. 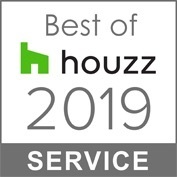 Wood working specialist in crown molding installation, cove moldings, wainscotting, box beam ceilings, tongue and grove ceilings, ceiling artwork, tray ceilings, coffered ceilings, race track ceilings, base trim installation, custom doors, pocket doors, hiden doors, secret doors. Our crown molding installation service area is: Sarasota, Venice, Siesta Key, Longboat Key, Lakewood Ranch, Nokomis, Osprey, Bradenton, Florida.